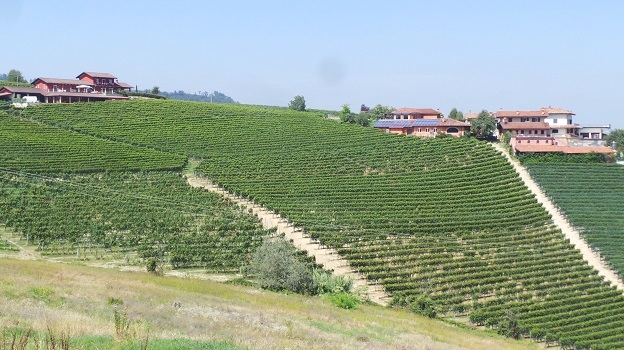 Several years in the making, this side-by-side retrospective of Elio Altare’s Barolo Arborina and Langhe Arborina provided the backdrop for an exploration of the career of one of Piedmont’s most ambitious growers. Known for taking a chainsaw to his father’s old casks in a fit of desperation, Elio Altare is one of the architects of what is often referred to as the “modern” school in Barolo, a movement created by a group of young growers in the 1980s who wanted to shake up Piedmont’s sleepy establishment. Although Altare has made dazzling wines for decades, when all is said and done his most enduring legacy may prove to be inspiring the numerous young growers who were emboldened to start estate bottling their production rather than selling fruit based on Altare’s success. 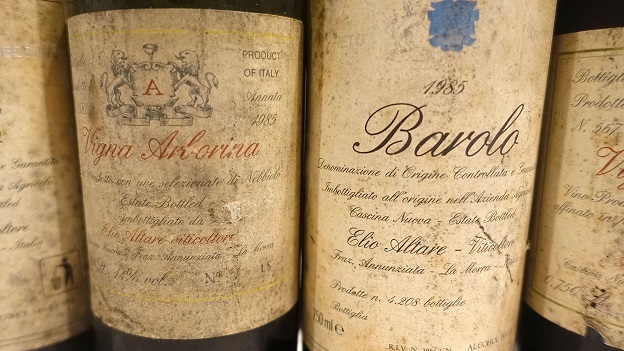 For this tasting, the Altare family dug deep into their private cellar to present every vintage of Barolo Arborina and Langhe Arborina all the way back to 1984, which is remarkable, considering stocks of many of these vintages are down to just a few bottles. The goal was to explore the use of French oak in Nebbiolo. The Barolo Arborina and Langhe Arborina are the result of the same harvest and vinification, but after that, the wines take two completely different paths with regards to the end of alcoholic fermentation, malolactic fermentation and aging, as explained below. Originally, the plan was to taste through to 2010, but we ran out of time. I hope to taste the remaining vintages on another visit soon. The wines were tasted in pairs by vintage, from oldest to youngest, which is how the tasting notes are presented. All of the bottles were opened when I arrived at the estate and followed over several hours. Elio Altare’s small estate is perched atop the Arborina vineyard in La Morra’s Rocche dell’Annunziata district. Altare is the first to admit that Arborina is not a truly great site, but in his hands, the wines consistently reach a very high level. Arborina Barolos are marked by their expressive aromatics and tannic backbone, which gives the wines their energy and drive. Incidentally, Altare’s vegetable garden sits on a flat portion of Arborina, always a good sign, as it means the chance of chemicals going in the vineyards is virtually zero. The oldest Altare Barolo I have tasted is the 1970, which was still in fine shape as recently as a few years ago. That wine was made by Elio Altare’s father and is very much a wine of its era. The late 1970s were a time of change in Piedmont. Angelo Gaja took over his family’s business and immediately started experimenting with more innovative ideas in winemaking, as did Valentino Migliorini at Rocche dei Manzoni. In 1983, Altare returned from a trip to Burgundy, deeply inspired by what he had seen and tasted. “I wanted to see if the same wine I used for my Barolo could yield an important result if aged in 100% new French oak barrels, as was the case at all the great Burgundy domaines at the time,” Altare says. That desire led to the creation of a new wine, the Vigna Arborina, in 1984. For his experiment, Altare took the grapes from his Arborina vineyard in La Morra, and divided the wine after alcoholic fermentation. The Barolo Arborina did malo in steel and was aged in cask, with French oak barrels coming into the mix in the mid to late 1990s. The Vigna Arborina finished its alcoholic fermentation in barrel, where it also underwent malolactic fermentation and aged on the lees, with one racking in Spring and another just prior to bottling. Altare also gave the Vigna Arborina less time in oak than the minimum requirement for Barolo. This tasting traced all of the wines that have been made since 1984 through 2004, with the exception of the 1997 Barolo Arborina and 1998 Langhe Arborina, both part of the famous cork taint case that ruined the entire production of these wines, and the 2002s, which were not made because of the disastrous growing season. The signatures of Altare's approach are rooted in low yields, the use of rotary fermenters, short periods of skin contact and aging in French oak, all of which have evolved over time. The wines are forward, fruit-driven and built on texture. In most vintages, Altare's top bottlings start drinking well around age ten or so. 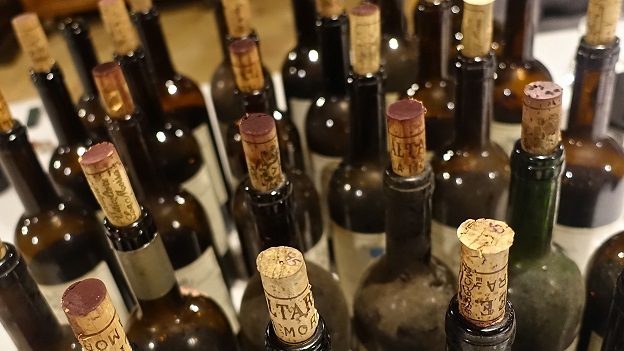 So far, history has shown that the wines age gracefully for at least several decades. Rotary fermenters arrived in 1994, a weak vintage in which Altare crafted gorgeous wines and also ignited a significant amount of controversy because he only gave the fruit 40 hours of skin contact, which was shockingly low. In reality, macerations had been coming down for some time. The 1982 Barolo saw three weeks of skin contact. By 1988, that had moved down to just four days. French oak was introduced in 1984, first for the Langhe Arborina. The 1986 Barolo was the first to be made with a combination of traditional cask and barriques, but by 1989, the Barolo was done entirely in French oak, around 20% new. Today, the wines are made pretty much as they have been made since the mid 1990s, which is to say the wines see around 4-5 days on the skins. The Barolo Arborina undergoes malolactic fermentation in steel and spends two years in French oak barrels, with about 20% new oak. The Langhe Arborina goes into barrel sweet, where it finishes alcoholic fermentation and then malolactic fermentation. Aging, which lasts eighteen months, is done on the lees in 100% new barrels, much like in Burgundy, with one racking in April and another just before bottling. With the 2012 vintage, the Langhe Arborina has been renamed Giarborina because the new vineyard regulations in Barolo do not allow for the use of a vineyard name for a Langhe appellation wine. The main takeaway from this tasting is so obvious, yet I have to admit I am also slightly embarrassed that it took me all these years to figure it out. For all the talk of modern versus traditional Barolo and French oak barrels versus botti, it is clear that the Langhe Arborina is Elio Altare’s true wine, because it most completely captures his spirit. Not coincidentally, in a number of vintages, especially once the early kinks were worked out, the Langhe Arborina is superior to the Barolo Arborina. In many instances the Langhe Arborina has aged more gracefully as well. Of course the Barolos can be fabulous, but I get the impression Altare makes those wines because he has to, because he is a grower in Barolo. But if the constraints of history and tradition did not exist, I am not sure Altare would make any Barolo at all. 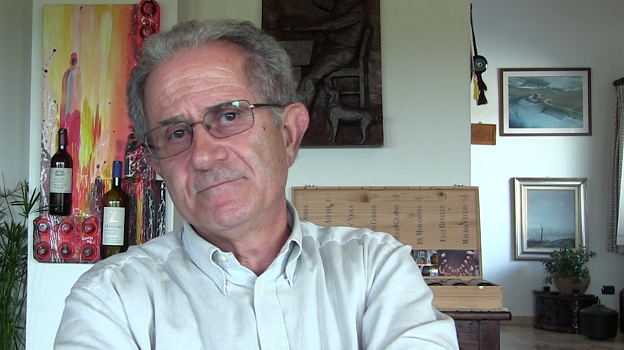 In that sense, it is clear Altare’s kindred spirit is Angelo Gaja. Their backgrounds are quite different. Altare comes from a dirt-poor upbringing, while Gaja inherited an already prosperous family business. Both producers are unmistakably Piedmontese in culture, yet their best wines are made outside the confines of the traditional appellations. Another takeaway is that Altare’s wines have proven to age beautifully, even in the smallest of vintages, which is arguably the greatest proof of a grower’s true skill. The reality is that we don’t know how Gaja, Aldo Conterno, Giacomo Conterno or Bruno Giacosa – to name some of Piedmont’s most illustrious names – would have performed in less than stellar vintages because they had the financial strength to skip a vintage or two when the growing season was less than ideal. The smaller guys, Elio Altare and Roberto Voerzio among them, did not have that luxury. They had to pay the bills. So they bottled no matter what. In many ways, the wines from the smaller vintages tell us more about a grower’s talent than the wines from the much easier, consensus top years where everyone made a great wine. Elio Altare told me this tasting was critical for the future of the estate because it would either confirm or deny the validity of his ideology. I don’t see it quite as black and white as that. My distinct impression is that Altare views any change or even evolution of the estate’s philosophy as a repudiation of his ideas and the many battles he waged to champion them. But that is simply not so. No one can ever deny the beauty of the 1986 Larigi, the 1994 Langhe Arborina, or the results Altare achieved in vintages like 1991 and 1992, when virtually all of the top estates of the time did not bottle any Barolo at all. That legacy will remain intact no matter what. Ironically, today it is Altare who has to deal with the ideas and desires of the new generation, headed by daughter Silvia Altare, who clearly wants to try new things. The power struggle between generations runs through many families. It is normal. At some estates, the conflicts are very much on the surface, while at others they simmer in the background, yet they are almost always there. But the future? Well, the future belongs to the new generation. It simply must be so.